Last week I demystified the process of making scrambled eggs using a bit of science. 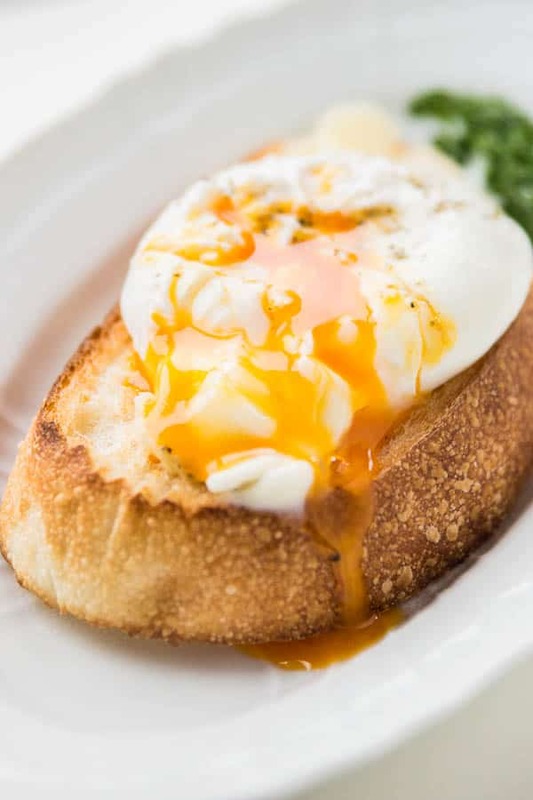 This week over at PBS, I’ve outlined the process for making the perfect poached egg. Whether you like your yolks runny or firm, this process should get you the exactly what you want with most if not all of the egg white intact. I actually love poached eggs and hate the waste associated with the disturbance the egg creates when entering the water. These are some pretty useful tips and I’m shocked that my common sense hasn’t kicked in sooner than reading this post. Also your camera takes super duper pictures… What are you using? Thank you SO much for this post! I’ve read some tips about poaching eggs before but no one mentioned the part about boiling the water then simmering it, and the fact that you shouldn’t disturb the water. I enjoyed my first beautifully poached egg the other day! After 21 years of cooking, I just made my first poached egg and it was great! Thanks for the helpful recipe.